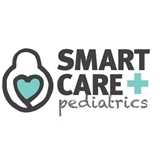 Smart Care Pediatrics (Fort Lee) - Book Appointment Online! Dr. Chung is so patient and really cares about her patients. Her office staff is nice and welcoming. This doctor is a blessing to have in my sons life!! I'm thankful to have her as my son's primary doctor.